HOLLADAY, Utah -- A toddler in Utah was a little too helpful when he shredded more than US$1,000 that his parents were saving. Ben and Jackee Belnap were saving the cash to reimburse Ben's parents for University of Utah season football tickets. They had $1,060 in an envelope, which disappeared over the weekend. Ben tells KSL-TV the couple started searching the house when Jackee hollered, "I found it." She was holding the shredder. Jackee says it will make "a great wedding story one day." 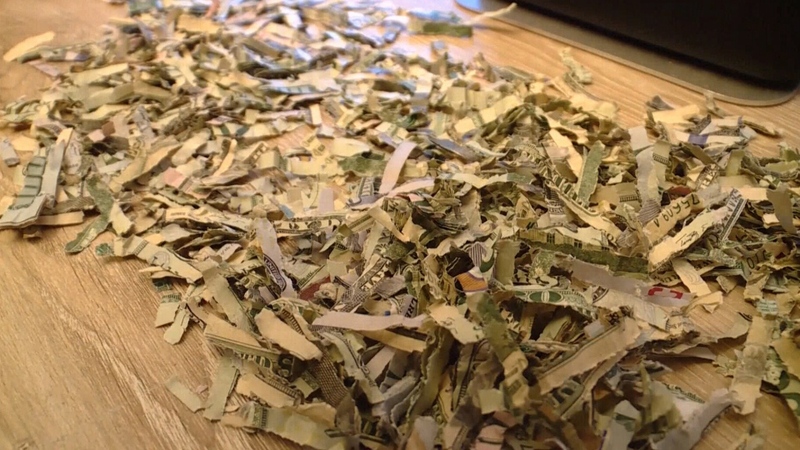 A toddler in Utah was a little too helpful when he shredded more than US$1,000 that his parents were saving.